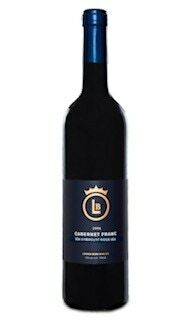 Cabernet Franc Vinemount Ridge VQA - London Born Wine Co.
A dry, elegant full bodied red, aged two years in French oak. Dense ruby purple with a complex nose and maturity. Vanilla, plum and spice barrel notes on the nose. Hints of red currant and cranberry on the palate with a satisfying tannic finish. Delicious! Appearance: Opaque purple in colour. Nose: Cedary, slightly spicy nose, brambleberry with notes of vanilla oak. Palate: Medium-bodied, dry, black plum and dark chocolate flavours with powdery tannins. Quality: Very Good+ quality. 88 points. Hold long term (3-5 years). Food Pairing: Charcuterie, venison sausage, Greek salad with feta cheese, lamb kebabs with mint sauce, ravioli with cheese and spinach, roasted red pepper soup, eggplant with parmesan. You may be more familiar with London Born Wine Co. than you think! Previously named Aure Wines, this Niagara winery was re-branded by the Hoare family from Britain who have been cultivating vines and making wines for over 10 years. Starting with Gamay, Cabernet Franc, and Siegerrebe grapes, the winery now has an ample portfolio that stretches from Pinot Blanc to White Gamay to Marechal Foch. Our tasting team loved this Cabernet Franc with its hints of black pepper, black currant, and licorice. An extra kick of tannins gives the wine a nice balance and structure. Enjoy!